Alexander M. Puzrin is Professor and Chair of Geotechnical Engineering at the ETH Zurich, Switzerland. He is engaged in the constitutive modeling of geomaterials and the analysis of progressive and catastrophic failure in soils, with pplications to onshore and offshore slope stability problems. His other interests are in development of novel sensor technologies for geotechnical monitoring and in assessment and mitigation of geotechnical eco-hazards. Professor Puzrin has been involved as an expert and consultant in large-scale onshore and offshore geotechnical projects in the UK, the US, Switzerland, Mexico, Azerbaijan, Russia, and Israel. His research papers received multiple awards from the UK Institution of Civil Engineers (ICE). He served as the Editor of Géotechnique in 2012–2015. Roland Pellenq is Director of Research at CNRS, the French Government Agency for Scientific Research and a MIT Senior Research Scientist. He is a computational materials scientist with a strong interest in the physics and mechanics of micro- and nanoporous materials and confined fluids. He graduated in 1994 with a PhD in Chemical Physics from Imperial College London (UK) and received his Habilitation degree from the University of Orléans (France) in 2000. Dr. Pellenq’s research is dedicated to the development of bottom-up simulation approaches (starting at an atomistic level of description) for a large variety of critical problems in energy and environment, ranging from hydrogen and CH4 storage, CO2 sequestration/fracking, shale gas to the stability of nuclear fuels and fundamentals of cement and concrete research and more recently to Urban Physics. R. Pellenq is the author or co-author of 190+ papers published in major peer reviewed scientific journals. He is the co-founders and lead scientist of the Concrete Sustainability Hub, CSH@MIT, opened in 2009, an interdisciplinary research center dedicated to the reduction of the environmental footprint of the cement and concrete industry. He was hired as a MIT Senior Research Scientist in November 2011 and is the head of the MIT / CNRS / Aix-Marseille University joint laboratory “Multi-Scale Materials Science for Energy and Environment” located on the MIT campus. William G. Gray is Professor in thee University of North Carolina, Chapel Hill since 2003 and Adjunct Professor since 2015, Research Affiliate in University of Vermont, Burlington. Among other awards he received the Kaneb Award for Excellence in Undergraduate Teaching by University of Notre Dame (May, 2001), Newton Underwood Award for Teaching Excellence by the Environmental Sciences and Engineering, University of North Carolina, (May, 2010) and the Langbein Lecturer by the American Geophysical Union, San Francisco (December, 2010). His field of research is focused in thermodynamics of multiphase porous media. Prof. Takashi Matsushima is Professor at the Division of Engineering Mechanics and Systems at the University of Tsukuba. He received the Doctor of Engineering in 1997 from the University of Tokyo. 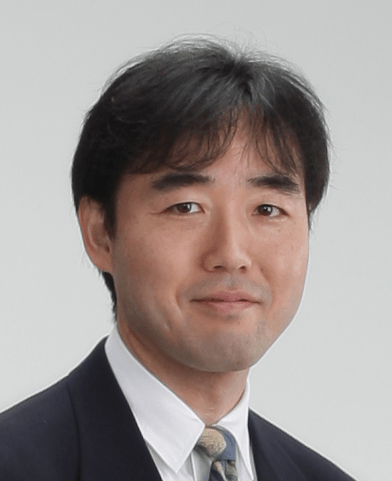 He is chair or vice-chair of several committees of the Japanese Society of Civil Engineers (JSCE), the Japanese Geotechnical Society (JGS) and a member of the granular mechanics committee of the Engineering Mechanics Institute (EMI), ASCE. The main research fields of Prof. Matsushima are Granular Physics, Geotechnical and earthquake engineering and earth and planetary science. Prof Hans Bernd Mühlhaus, University of Queensland, Australia has the Chair of Computational Earth Systems Mechanics at ESSCC and is the Director of Research for ESSCC. He received Dr. Ing. in 1980 and Higher Doctorate (Habilitation) in Geomechanics in 1987 from Universitat Karlsruhe. Prof Mühlhaus is internationally renowned for his contributions to the theory and application of generalised continua. Such theories provide a unified framework for the analytical and computational modelling of heterogeneous natural and engineered materials on all scales. The main current focus of Professor Mühlhaus and his team is the application of continuum concepts (generalised or other) as well as molecular dynamics-style discrete techniques to the simulation of complex systems in general including natural and industrial processes such as plate tectonics, the non-linear systems aspects of ore body genesis, non-linear dynamical simulation of mining robots, involving millions of discrete particles, in-situ leaching technologies and the nonlinear dynamics of the Australian plate. Over the last 5 years, Professor Mühlhaus has worked on nuclear power plants, tunnel stability, granular flow, block caving to non-mechanical mining methods such as in-situ leaching. During this time he also published 24 Journal papers and 32 refereed book chapters and conference volumes. 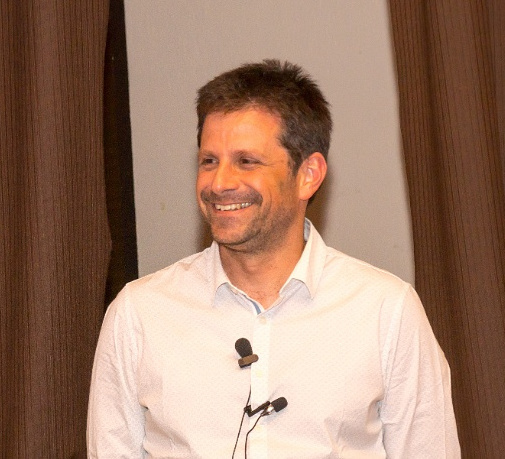 Prof Itai Einav obtained the PhD in Civil Engineering in 2002 from the Technion ­ Israel Institute of Technology. He then moved to University of Western Australia where he received an APD Research Fellowship from the Australian Research Council. In 2005 he joined the School of Civil Engineering at the University of Sydney, where he became Full Professor and the Director of Sydney Centre in Geomechanics and Mining Materials in 2012. Einav also holds an Honorary Professorship from University College London since 2012. He received many international awards including in 2008 the Shamsher Prakash Research Award and in 2014 the George Stephenson Medal from the ICE, UK. Einav is an Editor of Granular Matter, a member of the Editorial Board of Géotechnique, has been a member of the inaugural Editorial Board of Géotechnique Letters, and is a chair-nominated member of the Technical Committees TC105 Geomechanics of ISSMGE. Ronaldo Borja works in theoretical and computational solid mechanics, geomechanics, and geosciences. At Stanford University, he teaches an undergraduate course in geotechnical engineering, a graduate course in mechanics and the finite element method, and two doctoral level courses in computational plasticity and computational poromechanics. His research includes the development of multi-scale discontinuity framework for crack and fracture propagation utilizing the strong discontinuity and extended finite element methods; solution techniques for multi-physical processes such as coupled solid deformation-fluid diffusion in saturated and unsaturated porous media; stabilized finite element methods for solid/fluid interaction and nonlinear contact mechanics; and nanometer-scale characterization of the inelastic deformation and fracture properties of shales. Ronaldo Borja is the author of a textbook entitled Plasticity Modeling and Computation published by Springer. He serves as co-editor of two leading journals in his field, the International Journal for Numerical and Analytical Methods in Geomechanics and Acta Geotechnica, and as co-editor of a book series, the Springer Series in Geomechanics and Geoengineering. J. Carlos Santamarina is a Professor of Civil and Environmental Engineering at the Georgia Institute of Technology, Atlanta, where he holds the Goizueta Foundation Faculty Chair. Dr. Santamarina graduated from Universidad Nacional de Cordoba (Ingeniero Civil), and completed graduate studies at the University of Maryland (MSc) and Purdue University (PhD). He taught at NYU-Polytechnic University and at the University of Waterloo (Canada). Two books and more than 200 publications authored by Dr. Santamarina summarize salient concepts and research results. His former doctoral students are faculty members, researchers or practicing engineers at leading universities and organizations worldwide. 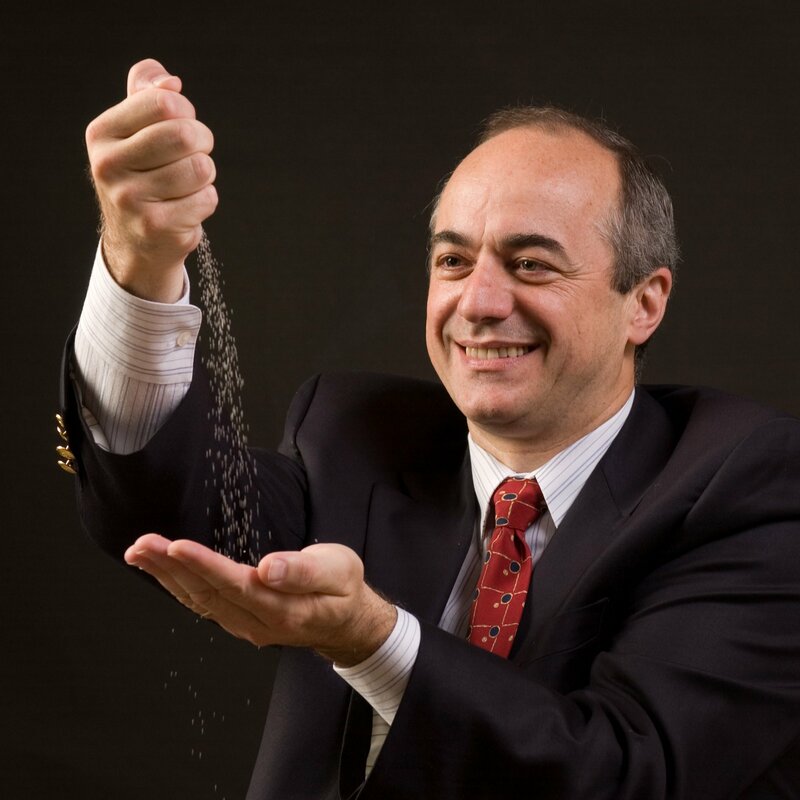 Dr. Santamarina is a frequent keynote speaker at international events; a member of both Argentinean National Academies (Sciences and Engineering); and a member of the standing Committee on Geological and Geotechnical Engineering at the USA National Academies. He is a recipient of a number of prestigious awards including the ASTM Hogentogler Award. Prof. Tomasz A. Hueckel obtained his PhD degree in Applied Mechanics from the Polish Academy of Sciences, Warsaw. Also he obtained a D.Sc. from the University in Grenoble, France, 1985. Since 1987 he is professor at Duke University. 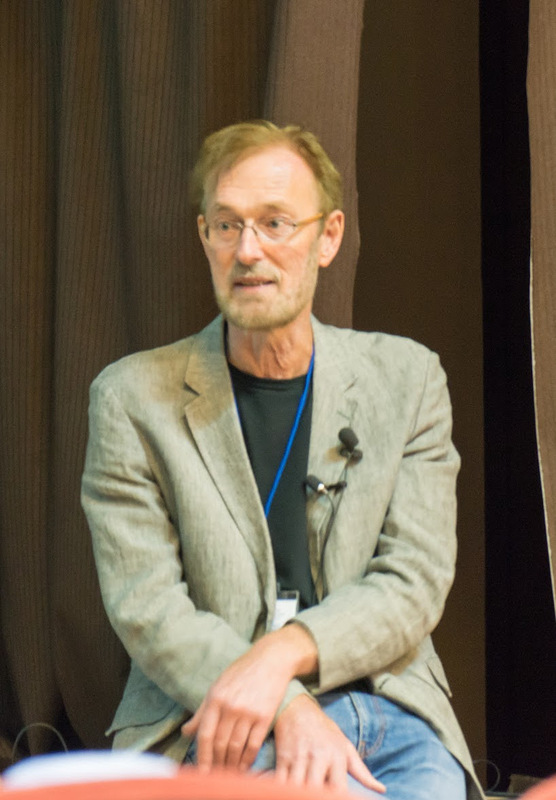 He spent various periods of time as a visiting professor at Ecole Polytechnique, Paris-Palaiseau, Ecole Nationale Polytechnique de Grenoble, University of Liege, Polytechnic University of Catalunya (UPC), Barcelona, University of Athens, Federal Institute of Technology of Lausanne (EPFL), University of Minnesota, University of Montpellier-2. In 2008 he received the John Booker Medal from IACMAG for distinguished contributions to geomechanics “for pioneering work in the area of Environmental Geomechanics, in particular for his seminal papers on thermo-plasticity of geomaterials and on chemo-mechanical coupling”. Dr. A.P.S. Selvadurai obtained his PhD degree in Theoretical Mechanics from the University of Nottingham for research in the area of “Non-linear Elasticity”. He joined the Department of Civil Engineering at Carleton University, Ottawa, Canada in 1975 as Assistant Professor, became Professor in 1981 and Head of the Department from 1982 to 1991. In 1993, he was invited by McGill University to become Chair of the Department of Civil Engineering and Applied Mechanics, a position he held till 1997. He is currently William Scott Professor and James McGill Professor in the Department of Civil Engineering and Applied Mechanics. Dr. Lacasse obtained her Ph.D. in 1976. She was Lecturer at Ecole Polytechnique of Montréal (1973-1975), and at MIT (1975-1982). She was also Head of the Geotechnical Laboratory at MIT. Dr. Lacasse became a permanent employee of the Norwegian Geotechnical Institute (NGI) in 1980, where she combined her position at NGI with visiting lectureship at MIT. She became NGI’s Managing Director in 1991 after 10 years as a Senior Engineer for NGI. She holds a number of positions on the Board of private companies and research organisations in Norway and abroad.